Cork Mother Jones Committee is pleased to confirm that retired judge Mrs Catherine McGuinness will speak at the 2016 Spirit of Mother Jones summer school. She will speak to the topic “Direct Provision – Not the solution!” at the Firkin Crane Theatre on Friday 29th July at 7.30 pm. Catherine McGuinness was born in Belfast in 1934. A barrister, she was appointed as a judge in the Circuit Court in 1994, later she served in the High Court and was appointed to the Supreme Court in 2000, where she served until 2006. Elected a senator in the Dublin University constituency in 1979 Senator McGuinness remained in Seanad Éireann (Ireland’s Senate) until 1987. She has been appointed to the Council of State twice, initially by President Hillery and more recently in 2012 by President Higgins. Mrs McGuinness was President of the Law Reform Commission from 2005 until 2011 and has served on various Boards and other organisations over many years giving freely of her time and experience. She received a 2010 “People of the Year Award” for her pioneering service and vast contribution to Irish life.In June 2011 she became a patron of the Irish Refugee Council and has consistently campaigned for Children’s Rights. 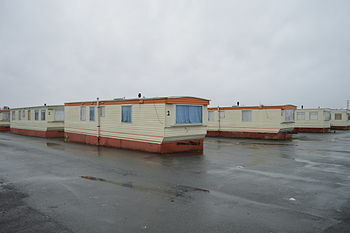 Direct Provision is the term given to the system for dealing with asylum seekers in Ireland. Initially established as an emergency measure in 1999, it commenced in 2000 and it quickly became permanent with over 30 establishments around the country. While asylum seekers receive full board accommodation, some access to the health and education systems, criticism has grown. Many thousands have been held in the system for years, some for over 5 years. Asylum seekers receive just €19.10 per week, children €9.60. There was a recent increase in the payment for children to €15.60 per week. At the end of April 2016, over 4000 people, including over a thousand children were still living in Direct Provision. Complaints about lack of privacy, unnecessary restrictions, lack of cooking facilities, long stays, lack of independent complaints procedure, sheer boredom leading to mental health issues have been raised over a long period. NASC, the Irish Immigrant Support Centre had published a damning critique of the system in Cork called “Hidden Cork”. 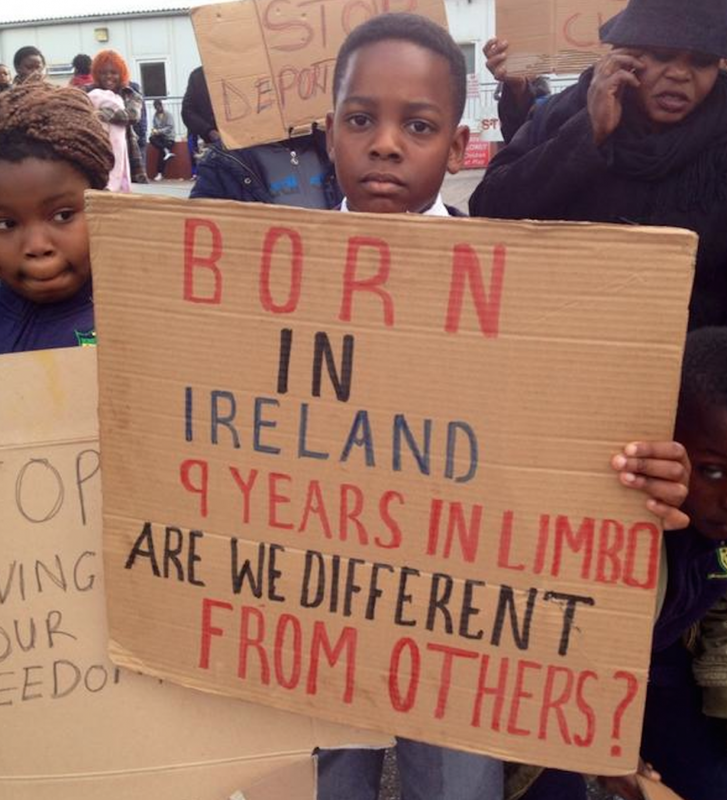 Children protest at the Kinsale Road Direct Provision Centre in Cork in 2014. The Irish Refugee Council launched a national campaign “End Institutional Living” in 2013. An Independent Working Group under Dr Bryan McMahon was established in October 2014 to report to the Government in relation to improving the position. It reported in June 2015 with a series of recommendations. 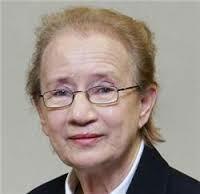 Mrs Catherine McGuinness will speak on “Direct Provision – Not a Solution!” at the Firkin Crane Theatre on Friday evening 29th July at 7.30. It will be followed by a discussion and all are welcome to come along and participate.